There are only a few things to dislike about summer and the mosquito is one of those things. These nasty pests can turn a pleasant evening on the patio into an uncomfortable itch-fest that drives you back indoors before sundown. Mosquito-borne illness has become a reality in our area. Over 100 cases of West Nile Virus are reported to the Centers for Disease Control from the NY Metro region each year, with many more going unreported. West Nile is a dangerous virus and has caused several deaths in the New York area. 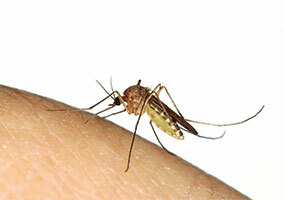 Recently the Asian Tiger mosquito has become a problem in our area. Although not known to carry West Nile, the Asian Tiger feeds during the day, which means mosquitoes are now a nuisance 24/7! Completely extinguishing mosquitoes from your summer outdoors may be nearly impossible, but there are a few steps that you can take to rid yourselves of these uninvited guests. Mosquitoes breed in standing water. Puddles, low-lying areas of turf, rainwater barrels, even children's toys can collect water – fostering a mosquito explosion. Eliminating or addressing these areas is a great first step. 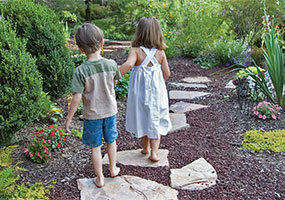 Spraying for mosquitoes can help keep you and your family safe in your own yard. Bellantoni offers safe and effective mosquito control using a mixture of Cedarwood Oil. Our treatment is highly effective for fast knockdown and control of mosquitoes, while being safe for children, pets and fish. 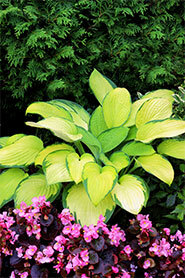 Some plants repel mosquitoes and, when planted around your outdoor living space, can create a barrier to make your time outside more comfortable. Lemon balm and catnip have scents that mosquitoes stay away from. Basil can also drive them away while contributing to your kitchen. Citronella is the most common ingredient in insect repellent candles, lotions, and sprays and you can grow it yourself. It is also helpful to remember that mosquitoes are attracted to carbon dioxide - so the more you exert yourself physically, the more they will seek you out. They also prefer a lack of breeze and are attracted to dark clothing that contrasts distinctly with sunlight. While it is hard to govern all of these things, they are helpful tips to keep in mind. Mosquitoes can make a summer outdoors less than ideal, but the right steps can make these amazing months (nearly) bite free. Contact us today and we will create a program to help you enjoy your yard this summer, while enjoying peace of mind as well.